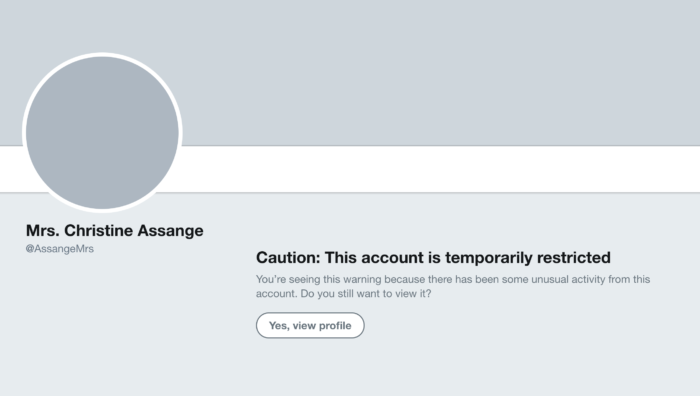 While a user can access her page by agreeing to view her profile, Ms. Assange told Consortium Newsshe is unable to post new Tweets to her account. 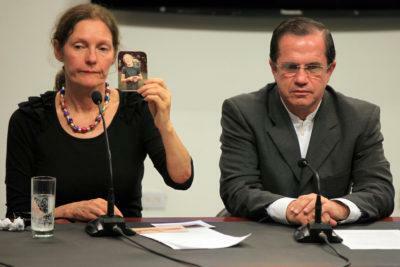 Her last post, at 11:55 am on Tuesday in Australia, where she lives, is a retweet of an article published about her son. She posted 12 tweets in the past 24 hours. “Interesting that it followed on from a day of my tweets about free speech and calling on journalists globally to stand up for Julian,” Ms. Assange said in a text message. Julian Assange has remained in the embassy to avoid arrest by British authorities for skipping bail from an investigation by Sweden that has since been dropped. Has not been charged with a crime by either Sweden or Britain.